Here is a list of Best Free Physics Simulation Software For Windows. These free Physics simulation games let you understand the basics of Physics theories, like Gravitation, Ohm’s law, Newton’s laws of motion, etc. All these Physics games are also suitable for kids. Some of these Physics games come with built-in simulation, with the help of which you can understand the effect of a change of a certain variable on a physical quantity. You will also find a Physics simulation software in this list which is based on the Ohm’s law. On varying resistance and voltage in a circuit, it shows you the effect of changing these variables on electric current. This list of free Physics simulation games also contain some games that will take you to the space adventure. With the help of simulations, you can view and understand the various phases of the moon and learn how these phases change with respect to the Earth’s movement. These games also provide the basic information about each planet and the only star in our Solar System, the Sun. Magnetic Adventure and Physics for Kids are my favorite Physics simulation software in this list. Magnetic Adventure: It is a real-time Physics game based on the Laws of Magnetism. It helps you learn the properties of a magnet. By playing this game, you can learn how a magnetic substance differs from a non-magnetic one. This interesting Physics game comes with a lot of exciting levels. Follow the rules of Magnetism in order to complete each level. Physics For Kids: It is one of the best Physics games for kids. It comes with many interesting levels based on different theories of Physics. Some of these include: Force, Potential Energy and Kinetic Energy, Solar System, Inertia, etc. Explore the list and give a try to these Physics games. You may also like some of the best free Sudoku Games, Word Guessing Games, and Maze Games for Windows. A Magnetic Adventure is an interesting Physics simulation game for Windows. It is based on the laws of magnetism. In this game, you have to move an object with the help of a magnet and drop it at its destination point. This game is not so easy as it sounds, as there are several obstructions in each level. Tackle these obstructions by following the rules of Magnetism and complete a level. 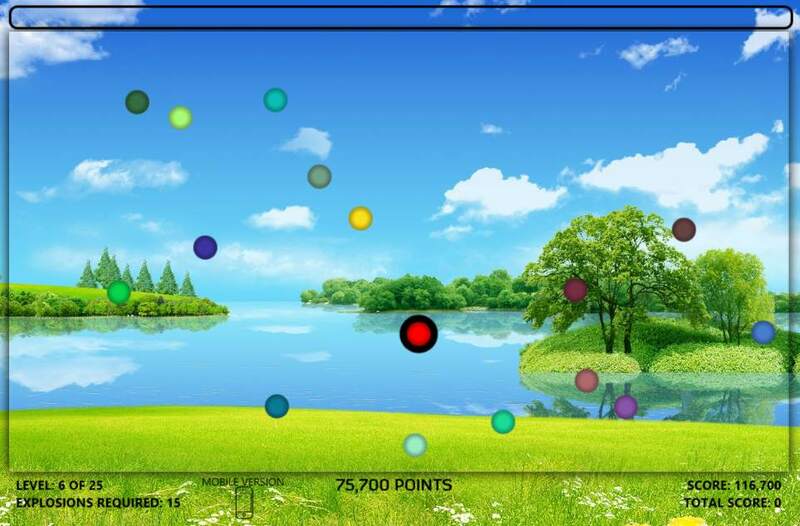 This free Physics simulation game comes with 50 interesting levels. As you move ahead in the game, you have to face more difficult obstructions. This game is the introduction to properties of a magnet. By playing it, you can learn what a magnet is, how it works and what types of materials are attracted by a magnet. In each level, a task will be given to you. Follow the properties of a magnet to solve each task. Move metallic items in the game with the help of a magnet. Place the magnet over a metallic object and move your mouse by holding its left click. The object starts moving along with the magnet. Release left click of mouse to drop that object. That’s all. Awesome graphics and cool sound effects make this game more enjoyable and interesting. As you move ahead in the game, you will face more complicated Physics puzzles. Remember, a magnet can attract only metallic objects. It lets you create more than one player profiles. It comes with an auto-save feature, which saves your game automatically on exit. A lot of challenging levels are a great time-pass. You can play it in full screen as well as on compact screen mode. So, what are you waiting for? Install this free Physics game on your PC. A lot of Physics puzzles are waiting for you. In this article, I have introduced you to a lot of Physics simulation games. Now, there is an entirely different class of Physics Simulation games, called, Physics Sandbox games. These games let you create your own simulations and test them. You can check the link I posted earlier to check out a lot of Physics Sandbox games that you can use for Physics Simulation. My favorite from that list is Algodoo. Algodoo is an interesting Physics simulation software in this segment. This is actually a Physics Sandbox game, which comes with 2D high definition graphics. It lets you learn Gravitational Forces, Friction, Elasticity, Density, Flow, Viscosity, and much more with fun. The best part of this freeware is that it lets you create your own Physics scenes and simulate them. Plane Tool: With the help of this tool, you can draw a plane on the screen at any angle. It also displays the angle at which you turn a plane. This helps you create a slope or an inclined plane tilted at a certain angle. Move Tool: You can move any object in the scene by using this tool. Rotate Tool: It lets you rotate an object at a certain angle. Scale Tool: Used for changing dimensions of an object. Cut Tool: You can cut an object at any cross section with the help of this tool. Polygon Tool: Use this tool to draw closed shapes. Brush Tool: Brush tool is used to draw both open and closed shapes. Box Creation Tool: This tool is used to draw squares and rectangles. Circle Creation Tool: This tool is used to draw circles. Gear Tool: This tool is used for creating gears. Chain Tool: This tool creates a chain. Several other tools are available in this freeware. Use all these tools to create good Physics animations and save them. Draw multiple gears and join them so as to understand the mechanics. You can draw fulcrum, pulley, and many other animations. It all depends on your creativity. This is a great Physics simulation software. Download it and enjoy. Physics for kids is very cool Physics game suitable for kids. This Windows 10 app comes with different levels based on different theories of Physics . As this game is developed for kids, it features only an introductory part of theories of Physics . Kids can learn different Physics laws by performing practicals. Lots of interesting levels are added to this Physics games for kids, which include: Energy, Force, Friction, Free Fall, Potential Energy and Kinetic Energy, Newton, Inertia, Solar System, etc. Out of these levels, some come with Physics games, while some feature simulation. Each Physics game comes with cute animated characters. All the levels of this Physics game are very easy, so that kids can easily play them and understand the concept behind them. For example, Lever is a very interesting game, which teaches about the result of applying effort on a fulcrum. In this level, you have to simply drop a little penguin on the empty end of the fulcrum, which tosses the pig resting on the other end of the fulcrum in the air. If strong effort is applied, pig will be tossed higher in the air. If I talk about simulations, Solar System is one of these. The Solar System simulation lets you learn the names of all 9 planets of our Solar System. The best part of the game is that these levels come with explanations. Kids can read these explanations while playing the game in order to understand which laws of Physics imply that level. Battery Resistor Circuit is a real time Physics simulation game. It comes with a simple electrical circuit with different electrical components, like ammeter, resistance, a temperature indicator, etc. It works on the Ohm’s law. You can vary voltage and resistance of the circuit to see its effect on the flow of current. By varying the resistance and voltage of the circuit, you can analyze what is happening in the circuit. It also shows the direction of flow of electrons in the circuit and inside the battery. So, you can know about the flow of electrons inside and outside a battery. It also displays the number of electron counts and what is going on inside a battery during the flow of current. Moreover, there is an ammeter connected to the circuit. This ammeter shows the current readings of current with respect to change in voltage and resistance. 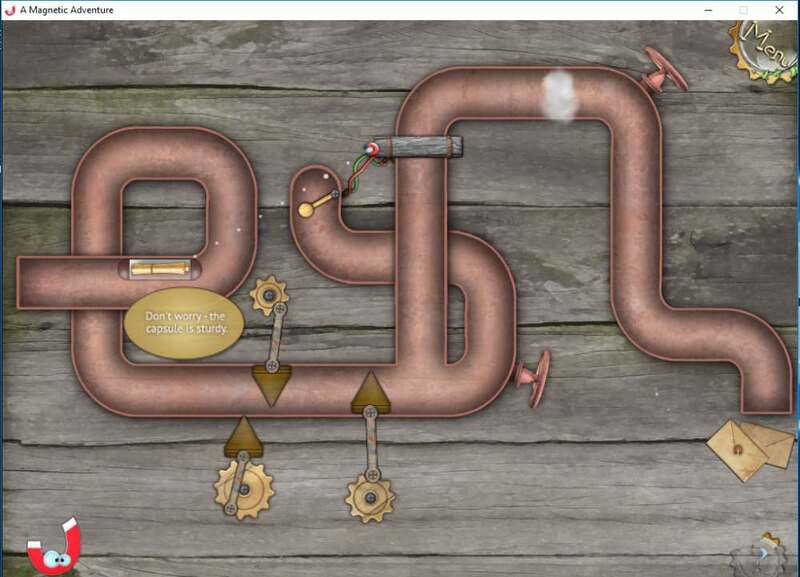 NOTE: This free Physics game requires Java to run on your PC. Solar System 3D Simulator is a free Physics simulation for Windows. This Physics simulation will take you to a real-time space adventure. Explore our solar system with this free Physics simulator. It displays an animation of 9 planets revolving around the only star of our Solar System, the Sun. 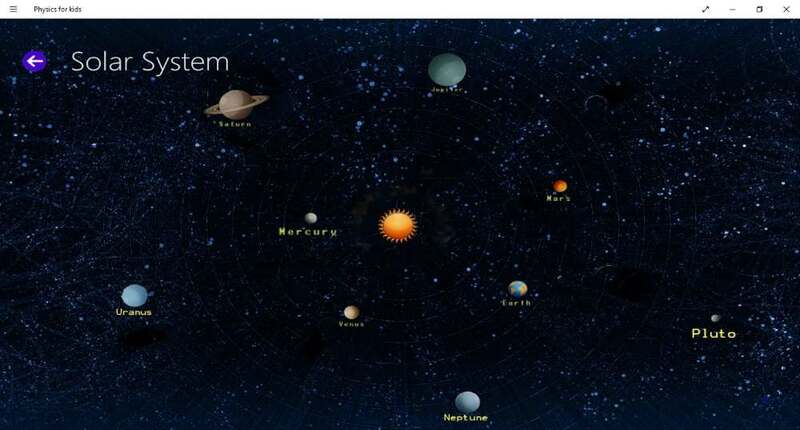 It is an educational software, which provides you the basic information of 9 planets of our Solar System. There is a button Planetary Information provided on the interface, clicking which opens a separate window containing basic information of all 9 planets. This information includes: Diameter, Orbital radius, Mass, Density, Temperature, etc. of each planet. Besides this, it also displays the number of moons of each planet. It is a very basic Physics simulation game, which provides only a basic information, hence it is good for kindergarten kids. This free Physics simulation helps kids to learn the names of all 9 planets of our Solar System in correct chronological order. Zoom in and zoom out features are available in this free Physics simulation software. It lets you vary the revolution speed of planets. Orbits: You can view or hide orbits by clicking this button. View: This button simulates the 3D model in different angles. Asynx Planetarium is another Physics simulation in this segment. Download this free Physics simulation on your PC and start a space adventure. Unlike Solar System 3D Simulator software in this list, this Physics simulation not only provides information about the Sun and its planets, but also comes with a good collection of Constellations. 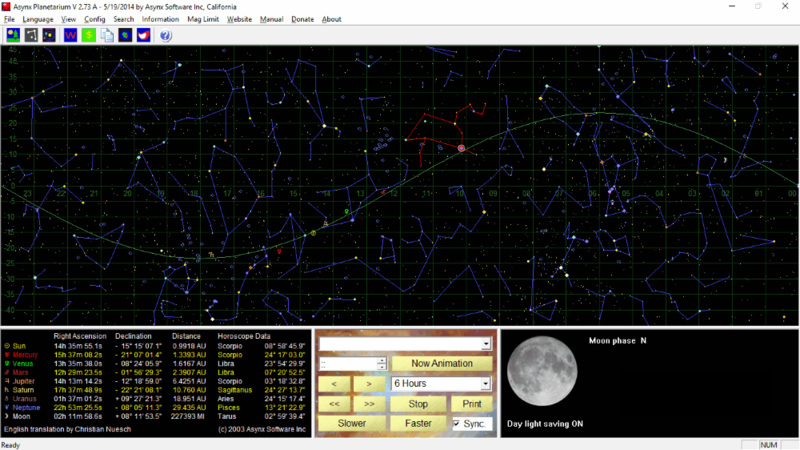 There are more than 90 Constellations in the software. Some of these include: Draco – the Dragon, Libra – the Scales, Leo – the Lion, Mensa – the Table Mountain, Musca – the Fly, Taurus – the Bull, etc. It also displays the phases of the moon in real time simulation with different Constellations. It comes with control buttons, with the help of which you can start/stop the simulation, vary its speed, zoom in and zoom out of the Physics animation. It also comes with a sync button. Enabling sync feature, it simulates the phases of the moon with respect to the Solar System simulation. It also displays the phases of the moon in real time. Moreover, it also displays the Longitude, Latitude, and Astronomical Unit from the Sun for each planet. Apart from these features, you can view the simulation of Inner Planets and Outer planets. Like Solar System 3D Simulator, it also provides you the basic information of each planet and the Sun, which includes: Planet name, altitude, distance from the Earth, distance from the Sun, gravity, temperature, etc. 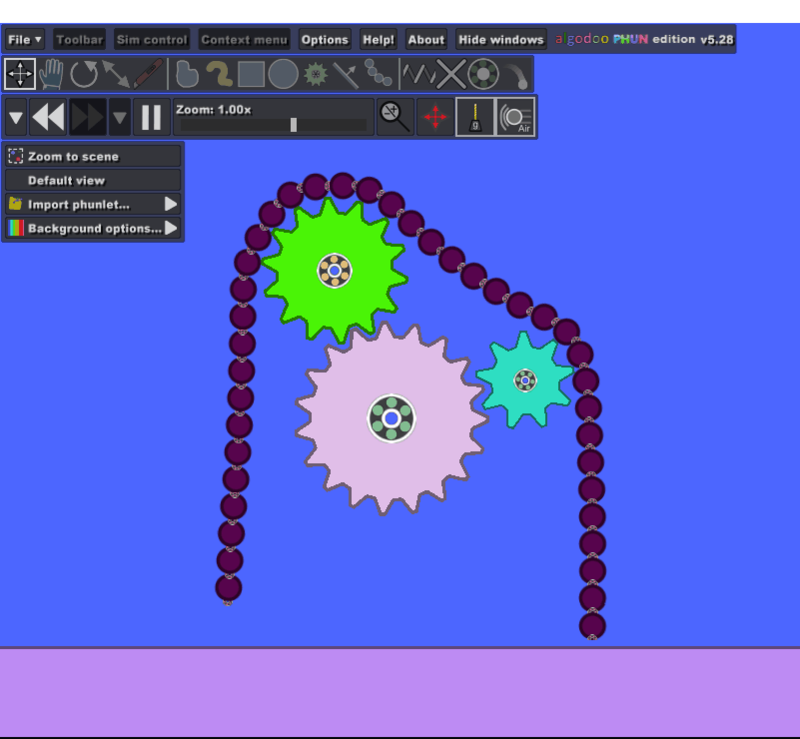 This free Physics animation software is available in more than 5 languages. Some of these are English, French, German, Czech, Spanish, Russian, etc. The International Astronomical Union declared Pluto as a Dwarf Planet in 2006, but this Physics simulation freeware has only 8 Planets. Chain Reaction is another free Physics game in this list. This is a Windows 10 Physics Simulation app that is based on the concept of chain reactions. There are more than 20 exciting levels, which comprise of a closed box in which there are freely moving atomic particles. Your aim is to carry chain reactions in this closed box by triggering a Red dot to complete a level. To start a chain reaction, just left click using mouse. As a chain reaction starts, these atomic particles start sticking on the Red dot, which results in fusion of atoms. This is termed as an Explosion in the game. Due to the fusion of atoms, the area near the Red dot starts increasing, which increases the rate of fusion. To complete a level, you have to explode the given number of atoms. For each explosion, you will get some points. Heart Box is another free Physics game for PC. This free Windows 10 app is based on the theory of Gravity. Everything on the Earth is attracted towards the Earth by its gravitational pull. Follow this theory of Gravity to clear all levels of the game. Heart Box is very simple Physics game for Windows 10. There is a square box (named Heart Box here) provided in the game. 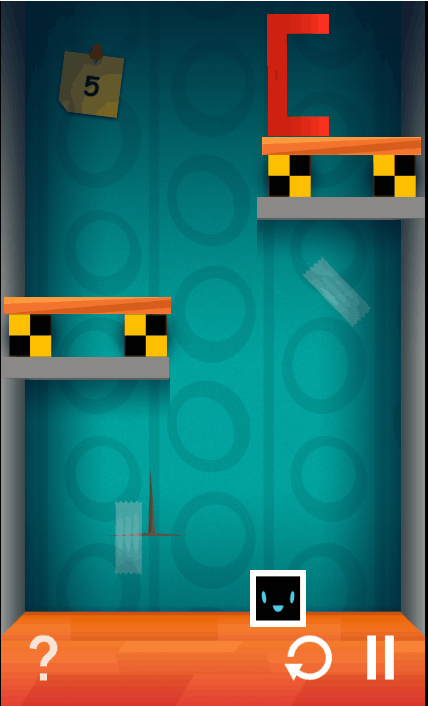 Your aim is to take that box to the bucket provided in the game by creating a slope. Initially Heart Box is placed on a horizontal rod placed on two small square boxes. You have to cleave one of these boxes in order to create a slope, so Heart Box starts sliding. In this way, you have to make a path which guides Heart Box to destination point. This Physics game comes with a lot of interesting levels. You have to complete the previous level to jump to the next one. But, if you want to play any random level, you have to purchase its full version, which comes with all levels unlocked. States Of Matter is another Physics simulation software in this list. This software simulates states of matter and lets you know the effect of the change in temperature on different states of matter. Simulation is provided for all three states of matter. i.e. solid, liquid, and gas. You can study these three states of matter with real-time simulation. Download this Physics simulation freeware and observe what happens to atoms and molecules of different states of matter when you increase or decrease the temperature. It features two types of simulations: One is Solid, Liquid, Gas, and other is Phase Changes. Both the simulations comprise of a closed vessel, a thermometer, and a temperature controller, but in the latter simulation, there are two other components, a pump and a pressure gauge. Experiments are carried out on four different elements (Neon, Argon, Oxygen, and Water) in a closed vessel by varying temperature of the vessel. The thermometer displays the current temperature inside the vessel. 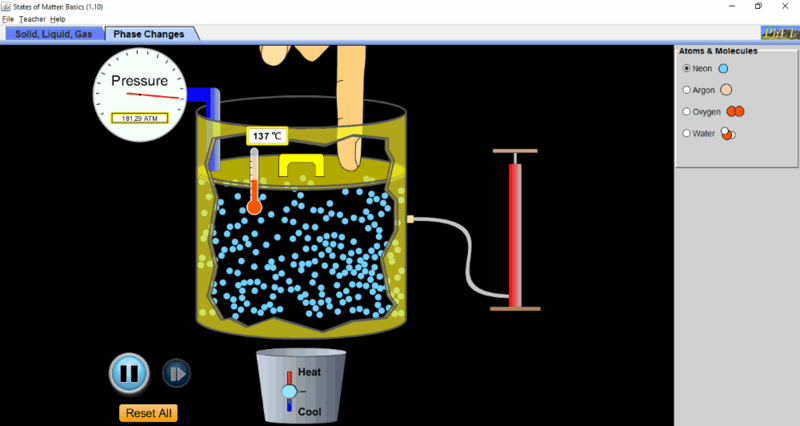 Phase Changes simulation of this freeware shows the pressure inside the vessel with respect to temperature. You can increase pressure by increasing the temperature of the vessel and vice-versa. If you want to vary pressure at a constant temperature, you can vary it by adding more molecules of an element with the help of a pump. By changing the states of a particular element, you can observe the strength of covalent bonds among molecules and the effect of temperature on these covalent bonds. Magnet and Compass is another free Physics simulation software for PC. This is a very simple Physics simulation software, which teaches you about the electromagnetic fields of the Earth. It shows how the needle in a magnetic compass deflects and guides us in correct direction. You can vary the strength of the magnet field. A field meter is also provided in the software, with the help of which you can check the intensity of magnetic field at different points. This free Physics simulation lets you learn the working principle of a magnetic compass.